A factor that will come up time and time again when researching diamonds is diamond certification. Buying certified diamonds is the only way to know the exact quality and value of a stone: referring back to the four Cs emphasizes the great detail that gemologists go to when certifying a diamond. 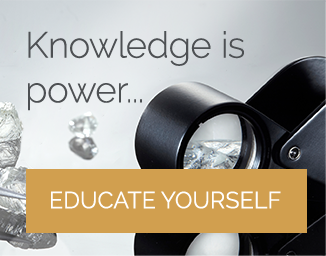 There are many diamond associations that offer certification; however, the GIA is the leading gemological institute in the world with the highest and most consistent grading standards. They are followed closely by AGS, who are true pioneers in gemological science and ethical grading systems. Cut: The exact proportions of the stone to ensure optimum light return and sparkle. Color: How colorless the stone appears. Carat: The exact carat weight of the diamond, down to 0.01 decimals. Clarity: How clear the stone is, i.e. the absence of inclusions or surface marks. Fluorescence: Diamonds can emit a soft glow when under ultraviolet light. 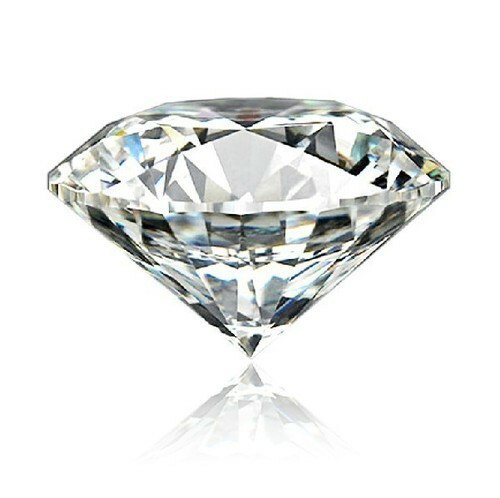 This is seen as a defect; therefore, a diamond with no fluorescence will have greater value. Example of a GIA certificate. Example of an AGS certificate. Each diamond is natural and therefore entirely unique. Owning a diamond certificate indicates the true attributes of a stone down to the tiniest marks and details. 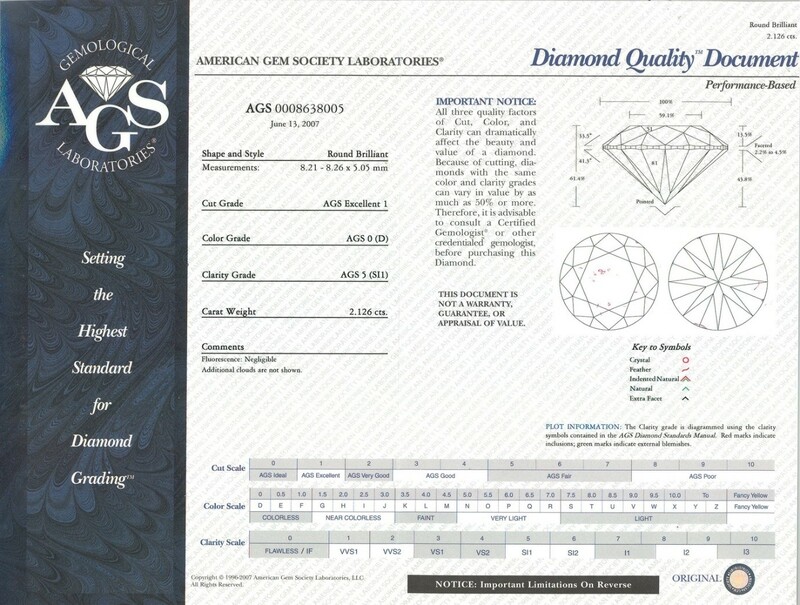 Both the GIA and the AGS look for the same attributes when grading diamonds, e.g. absence of color and inclusion, light return, etc. The best way to assess any differences is by a direct comparison of their standards and grading systems. AGS use numerical values for their grading system with ‘0’ or ‘0.0’ being the highest quality and ‘10’ denoting the lowest. The GIA uses characters; ‘D’ down to ‘Z’ for color grading and ‘IF’ (internally flawless) down to ‘I3’ (Included 3). The table above shows how a GIA grading would translate into an AGS grading and vice versa. For example, a diamond that was a GIA, F in color and a VVS2 in clarity, would be an AGS 1.0 color and a 2 in clarity. Founded in 1931, the GIA is the international benchmark for grading diamonds. They have set a standard for education and examination of gemstones and continue to contribute to research within the field actively. Their official diamond grading system was developed in 1953, as a way of educating and protecting consumers, and bringing regulation to the diamond market. Based in Nevada, Las Vegas, the pioneer for the AGS also sowed the seeds for the GIA. Disenchanted by the lack of information and standardization of diamonds within the USA, jeweler Robert M. Shipley traveled to Europe and completed a Great Britain National Association of Goldsmiths gemological correspondence course. Upon his return, he sought to educate other jewelers and formulate an internationally recognized standard for grading diamonds. The jewelers he trained would go on to form the foundations of the GIA, and later the AGS. While the GIA maybe have refined the methods for grading diamonds, the AGS is at the forefront for industry firsts and achievements, including creating the ‘ideal cut’ for round brilliant diamonds (also known as AGS Ideal or the Triple Zero Cut). 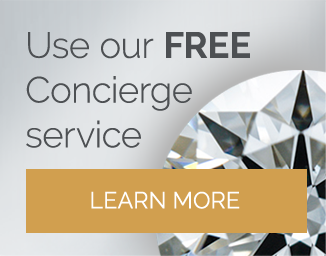 While their chosen systems may differ, the GIA and AGS both offer the highest industry standards and greatest protection when selecting your perfect diamond. 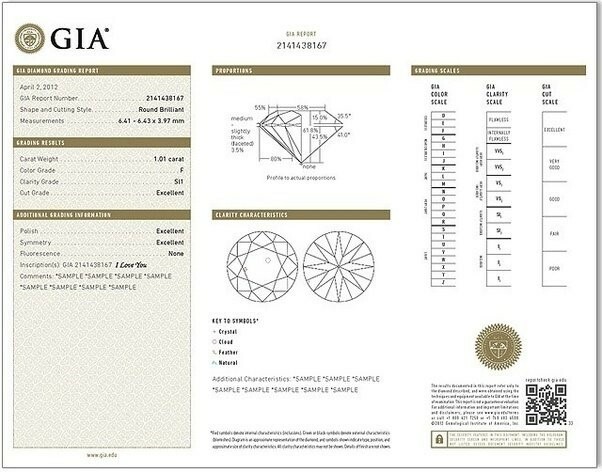 During your voyage of diamond discovery, it is possible you will come across other certifications, in particular the European Gemological Laboratory (EGL), and the International Gemological Institute (IGI). While I have emphasized wholeheartedly that certification is key when purchasing a diamond, perhaps better advice would be the correct certification is key. While the above laboratories will offer a grading for your diamond, their systems are a little laxer than those of the GIA and AGS. In a world of salespeople, it is easy to be convinced that an inferior certificate will maximize budget; however, more often than not you are getting a lower quality diamond and a less prestigious certification. Their grades are usually 2-3 places off of a GIA or AGS certification. To assist you in your sparkling pursuit, the table below outlines a rough guide and point of comparison between the certifications. Using one diamond as a case study, I stress that this is purely for clarity and reference. As you can see, EGL and IGI gradings are usually two to three places above GIA and AGS gradings. This does not mean the diamond is of a higher quality, remember for this study we assume the institutes are examining the exact same stone. Rather, it means that the EGL and IGI grading systems are far less stringent and thus, less consistent. 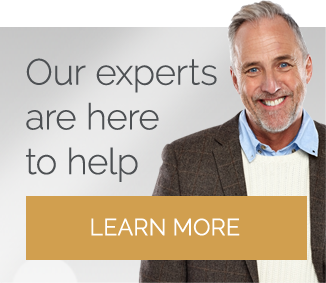 A diamond certificate from an internationally accepted institute offers protection, assurance, and a treasured document that carefully details the tiny birthmarks and intricacies that make your diamond unique. It will become a piece of history with your jewelry, encompassing the memories and moments that led to the purchase of your stone. With something so essential, so significant, it is always worth using the most reputable sources available. In this instance, the GIA and AGS fit the bill perfectly. If you’re looking for GIA and AGS Diamonds that have the best light performance and cut precision, take a look at the A CUT ABOVE Diamonds line from Whiteflash. For Fancy Shape Diamonds take a look at James Allen.